The China office is the latest international office to be established by Benham and Reeves. It opened in Summer 2017 in response to the growing demand from Chinese clients looking for a professional lettings agent to manage their London properties. Managed by Sunny Sun, the China office provides a complete lettings and property management service. We help landlords to find good, reliable tenants (usually from leading FTSE and Fortune 500 companies), while our comprehensive property management service covers everything from collecting the rent to arranging repairs and maintenance. In addition, our accounts centre provides a full range of financial management services. We also offer a furnishing and interiors service so that clients can be confident that their property meets the high standards of presentation demanded by corporate tenants. 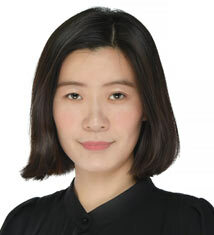 Our services are organised through our local team in Shanghai who are experienced in the international lettings market. This gives our Chinese clients an invaluable advantage, giving them a local contact for the efficient management of their London properties and eliminating the need to make expensive overseas calls. Our Directors regularly visit all our overseas offices to meet clients and update them on the latest developments in the London market. If you live in China and have a London property that you would like to let, please get in touch. Sunny and Crystal from the Chinese office they are very responsible and patient to help me rent a house.